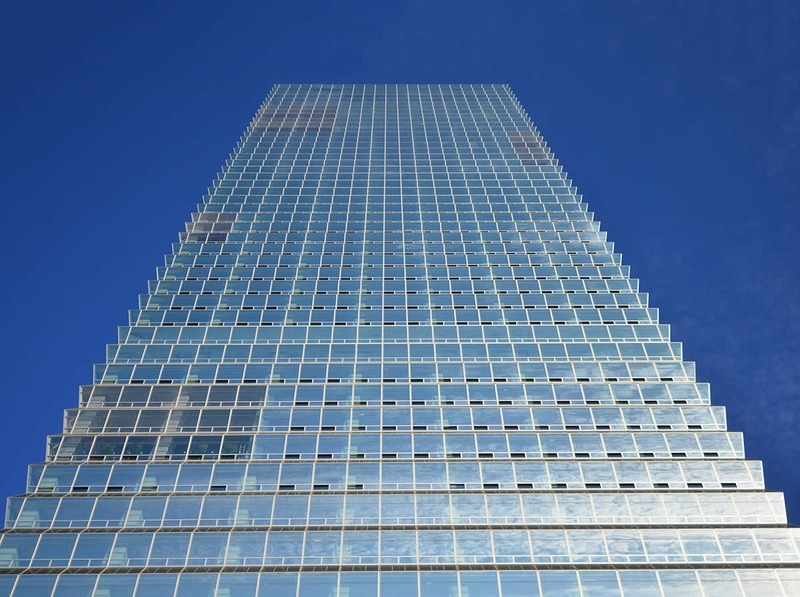 FKI Tower’s innovative façade features a specifically designed Building Integrated Photovoltaic System (BIPV), which collects and generates energy, reduces internal heating and cooling loads, and limits the need for artificial lighting. The concept for the building’s distinctive shape was developed by combining the client’s request for a building that was contextual to the orthogonal architecture of the district. Jurors enjoyed how “texture provides context,” as one juror said. “It’s a culturally interesting form,” said another. The building also meets Seoul’s requirement that all new large-scale commercial buildings generate at least 5 percent of their energy on site. 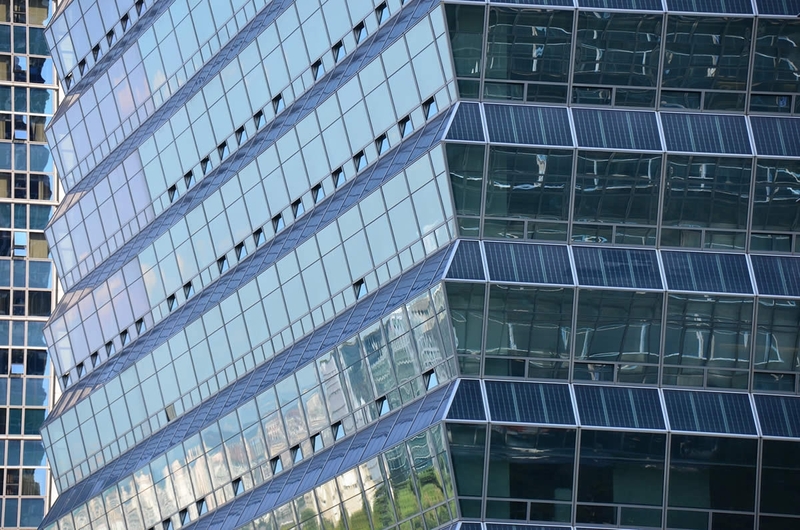 The use of BIPV was seen as an architecturally appealing way to meet the zoning requirement while the optimization of the panels became a driving factor in developing the architectural expression. “The design is prototypical; it can be replicated easily and to great benefit,” a juror commented. “It works hard,” said another.